To help the Dutch community evolve to learn, think and do more skilled testing I want to advocate interesting stuff to read to the community. But what should a tester read? Earlier I published a list of popular books for testers. In my search for good books to read, some people replied that they only read blogs and other on-line content. 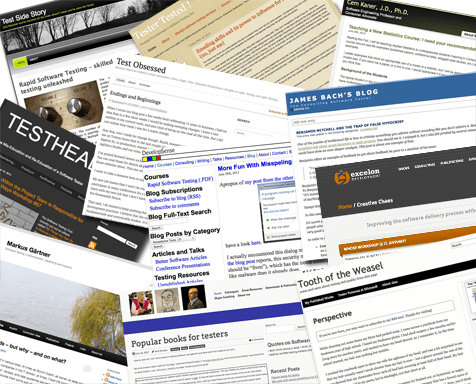 On this blog I recommend great articles and on-line stuff in my great resources list. For testers blogs you can check my colleagues list. But what do other testers recommend? My curiosity kicked in again and I sent out another email to my tester friends around the world to ask for their favourite blogs. 180 different blogs where mentioned by 41 participants. The full list of blogs can be found here. An overview of all participants and their personal lists can be found here.